1. 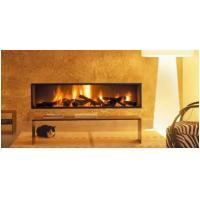 Shape: Our stone stoves have the looks of furniture but indicate clearly what they serve for. 2. 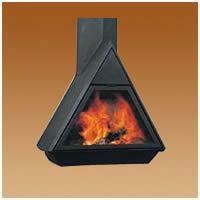 Size: stone stoves with different sizes can be provided. Heating your rooms with our stone stoves can avoid temperature differences in cold winters. 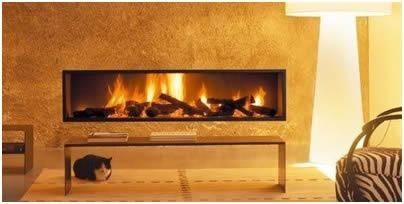 And the material (stone or concrete blocks) can help prolong warmth time after the fire is extinguished. Xuzhou Starry Arts & Crafts Co., Ltd is one of the leading joint-ventured enterprises that designs, manufactures and offers various goods and services to customers around the globe. Our business covers two different sections, one is fireplaces manufacturing and supplying, the other is wooden photo frame production. Since our foundation in 2000, we have offered our global customers a wide range of stylish products that include marble fireplace, casting fireplace, casting iron fireplace, casting stove, photo frame, mirror frame and many more. As an arts and crafts manufacturer, Starry attaches great importance to design. Our products are made in various styles and colors therefore serve not only as necessity goods but also as decoration for your house. We can design and produce a suitable frame, fireplace or stove according to the specifications or drawing provided by our customers. Starry places high priority on quality. Each stage of the manufacturing process is precisely processed and strictly monitored to ensure the premium quality of our photo frames, mirror frames, marble fireplaces, casting fireplaces, casting stoves and more. In addition, our quality inspection department is responsible for inspecting every detail of these increasingly demanded products. With high precision machines and a responsible staff, our wood frames, casting iron frames, and stoves not only meet the customers expectation but also surpass the market requirements. As a result, we are CE certificated and our products find great popularity in Korea, USA, Japan, Australia and other countries in Europe and Middle East. Customers satisfaction is what we are pursuing. We know that what customers need are high quality and relatively low price products. To achieve higher customer satisfaction index, we focus on saving cost during each process to give our customers low and reasonable prices. In 2006, we set up our own subsidiary company, Xinyu Wood Co., Ltd, to provide high quality woods at cheaper prices. As a China based manufacturer, Starry enjoys the privilege of accessing cheap raw materials, low labor cost and low land cost. Besides, we are located in Xuzhou, a city not far away from Zhangjiagang harbor which is a convenient location enabling us to save the shipping cost for our customers. In over ten years of consistent hard work, we have won the trust and praise of our customers around the globe for the quality of products, our short delivery time, and our customer service. We sincerely invite customers from around the world to establish a long term business relationship with our company. We are committed to making better photo frames, mirror frames, marble fireplaces, casting fireplaces, casting stoves and more, which are of high quality. At Starry, we also provide OEM services, upon request. Please feel free to contact us.